The university plans to cap enrollment in its program at 125, Williams says, because “we don’t want to get too big. We want to give one-on-one attention.” Total enrollment at Averett is about 1,600. Most students hope to become commercial airline pilots, but aviation jobs also are available in surveying, forestry, crop dusting, law enforcement and government contracting. 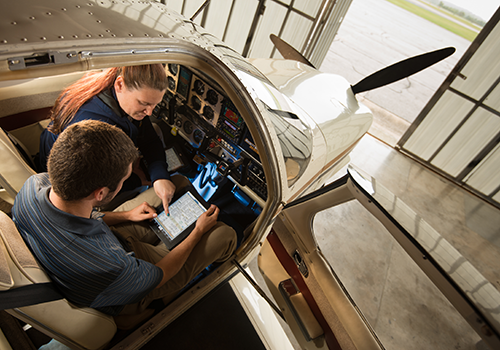 Averett offers undergraduate degrees in aerospace management with fields of concentration in aviation business and flight operations. The program also offers a joint major in aerospace management and criminal justice. The flight center is located at Danville Regional Airport, near campus.